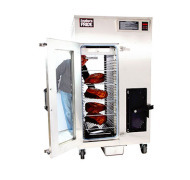 Compact Stationary Smoker, Uses wood chips for flavoring, 200 lb. 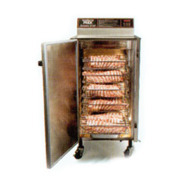 Meat Capacity. 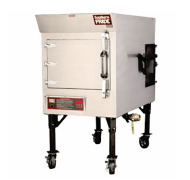 Fully Automatic: Southern Pride wood burning barbecue pits eliminate all the guesswork in barbecuing. 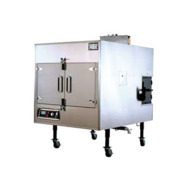 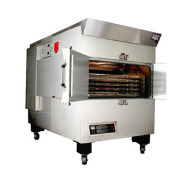 The compact MLR-150 is perfect for limited spaces and portable for onsite cooking. 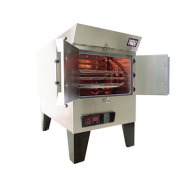 Self-Basting Rotisserie Feature Reduces Shrinkage and Retains Moisture!